More robust than the familiar yellow mustard seed, brown mustard seed can be similarly used to flavor condiments, relishes, and pickles and to enliven everything from soups to casseroles. Its sharp aroma and fresh, pungent flavor work well in combination with other strong spices like chilies and black pepper. 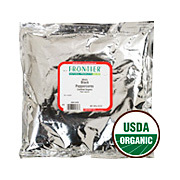 Mustard Seed Brown Whole Organic is shipped in a discrete, unmarked package. Orders are processed immediately and usually take about 3 to 5 working days to be received. We do ask that you try it for 2 to 3 weeks to feel the full effects. Any information received is used only for order processing and shipping purposes. Your information, such as e-mail address, will never be disclosed to a third party.